Congratulations to the Poster Prize winner at this year’s ISMSC/ISACS meeting. The winner is Pablo Martinez-Bulit from the University of Windsor, Canada who is currently working as a graduate student in the group of Professor Stephen Loeb. His Ph.D. research focuses on the synthesis of [n]rotaxanes suitable for their incorporation into solid-state materials so we can use the dynamics inherent to these systems. He is especially interested in the rotation, translation, and conformational changes of the macrocyclic ring. Finally, the use of porphyrins provides an excellent scaffold to obtain robust materials. 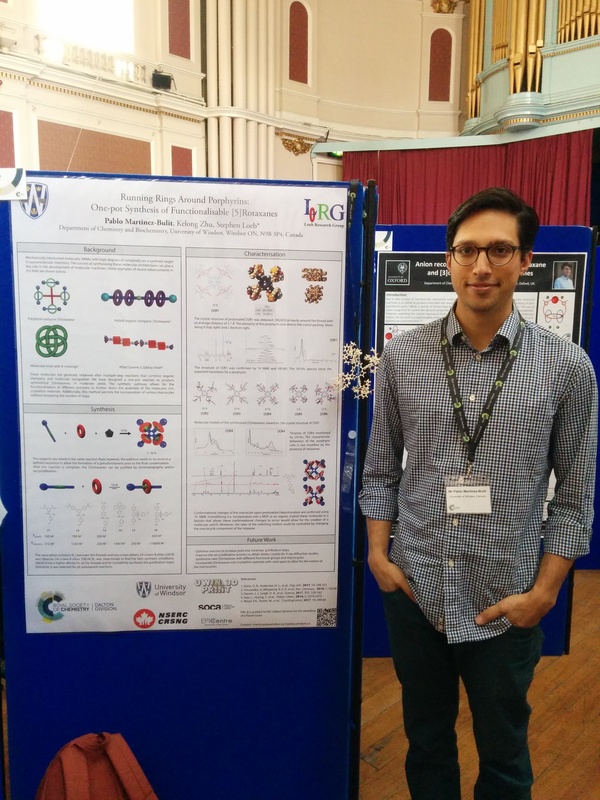 The International Symposium on Macrocylic and Supramolecular Chemistry (ISMSC) which was run in 2017 in conjunction with ISACS: Challenges in Organic Materials & Supramolecular Chemistry took place in Cambridge, UK. The conference themes spread the breadth of macrocyclic and supramolecular chemistry from inorganic to organic chemistry and chemical biology, and the symposium provided an excellent opportunity for graduate students and postdocs to present their work in a multidisciplinary environment. We wish Pablo all the best for his ongoing research and look forward to reading about his first results very soon.